RB-AES4B3 Quad 3 Way Passive AES-3id Splitter BNC Connectors. The RB-AES4B3 is a passive, quad “one-to-three” splitter housed in a 19” rack. 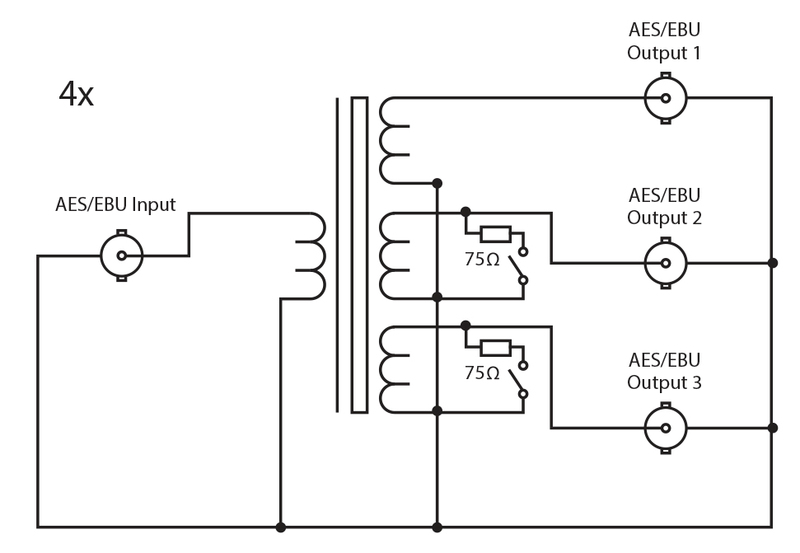 Each bank is designed to split a single AES-3id digital audio source to up to three destinations, using female BNC connectors. Particularly useful in a video production and broadcast environment, the RB-AES4B3 splits the input signal through high quality transformers. 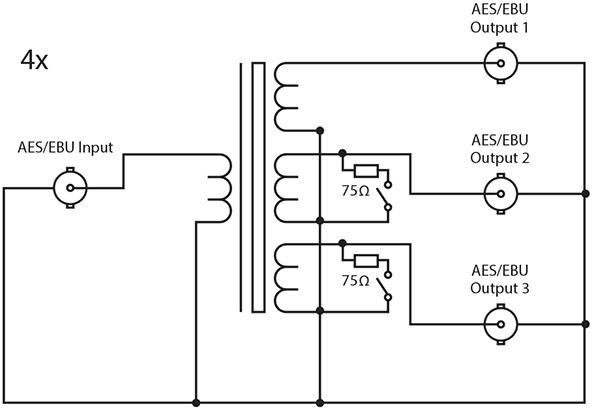 75Ω termination can be applied, if desired, to unconnected outputs to maintain optimum carrier parameters. The RB-AES4B3 requires no power to operate, ensuring your audio remains connected from source to destination(s) without interruption from power failures. RB-AES4B3 Quad 3 way passive AES-3id splitter	with BNC connectors.